Xigmatek uncovers the Gigas, a new Micro-ATX cube-shaped aluminium case. It will start shipping by the end of next month and the MSRP is 109.90EUR. The word „Gigas“ is part of the Greek language and means „giant“. In the modern language, the prefix „giga“ can be found in many different areas to quantify the sheer size. Gigabyte or Gigawatt are such examples and the new chassis from Xigmatek carries the name „Gigas“ for good reason. To pull hot air out of the case, the Gigas may hold an additional two 120 mm units in the rear of the chassis. These are to be installed above each other, which generates a healthy flow of air across the hard drive cage and the CPU cooler. With all these features and the incredible and innovative use of space, the Xigmatek Gigas performs like a giant, able to hold high-end components without breaking a sweat. Xigmatek rounds up the impressive list of engineering achievements with their „Mono Cool“ fan controller, also part of the Midgard (II) cases, with which one may adjust the speed of up to three fans within the chassis. The Xigmatek Gigas will be available in black or silver variants at the end of March for a price of 109,90 Euro exclusively at Caseking www.caseking.de. Caseking will also be offering the case with premium sound dampening pre-installed as part of the King Mod service. 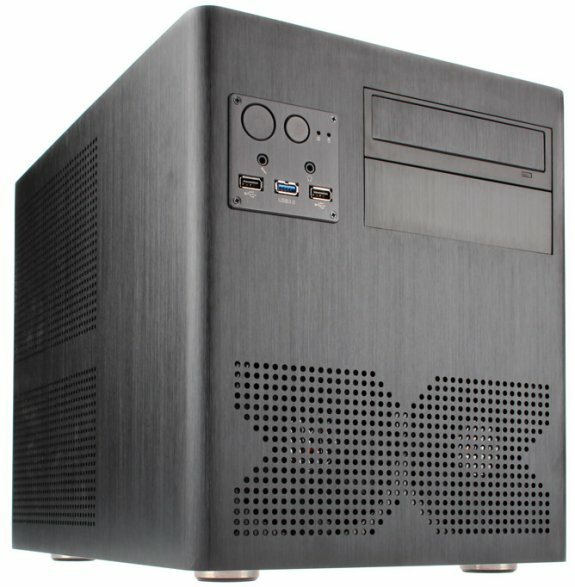 The video to the Xigmatek Gigas Micro-ATX Cube can be viewed on Caseking.TV, with additional pictures and details available at www.caseking.de/xigmatek_gigas.